Backed by an ambitious infrastructure program and comprehensive reforms, the Philippine economy is expected to grow by 7 percent next year, forecast the country’s top envoy to Korea last week, citing the International Monetary Fund. 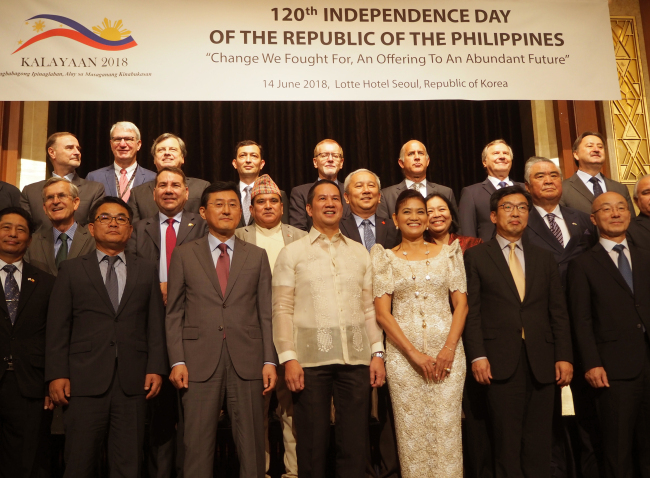 “The Philippines is enjoying not only freedom but also prosperity,” Ambassador Raul Hernandez said at a reception in Seoul on Thursday marking the 120th anniversary of the Philippines’ declaration of independence from colonial Spain. He added that the International Monetary Fund had forecast that the Philippines’ GDP growth rate would rise to 7 percent next year, becoming the second-fastest growing economy in the world by 2019. These high growth rates were possible on the back of the far-reaching nationwide infrastructure program, “Build, Build, Build,” in which some $170 billion is expected to be invested, the diplomat noted. Supported by comprehensive tax reform, he argued, the 75 projects under the initiative will increase the national economy’s productive capacity, create jobs, boost incomes and make the economy more attractive to foreign investments. Turning to relations with South Korea -- 69 years in the making officially since the two nations established diplomatic ties in 1949 -- the ambassador said the two-way relationship has blossomed in politics, defense and security, trade and investment, development, education, tourism and people-to-people exchanges. “As encapsulated in the saying, ‘A friend in need is a friend indeed,’ I believe our friendship is really special,” said Yoon Soon-gu, Korean deputy minister for political affairs at the Ministry of Foreign Affairs. Noting that Manila was the first Southeast Asian country to establish diplomatic relations with Seoul, Yoon also thanked Filipinos for dispatching their young men to the 1950-53 Korean War to protect South Korea from North Korean aggression. As the first Asian country to participate in the war on the Korean Peninsula, the Philippines sent an initial batch of 1,468 troops -- the Philippine Expeditionary Forces to Korea -- who arrived here in August 1950. The unit was the Philippine Army contingent of the United Nations forces, the fifth-largest force under the United Nations Command. The PEFTOK took part in the Battle of Yultong and the Battle of Hill Eerie, operating with the United States 1st Cavalry Division, 3rd Infantry Division, 25th Infantry Division, and 45th Infantry Division. They -- some 7,500 in total during the entirety of the war -- protected South Korea through 1955. Over 110 Filipino soldiers are estimated to have lost their lives from the conflict later known as “the Forgotten War,” with some 400 wounded, including those permanently disfigured and damaged mentally. Currently, Korea is the sixth-largest source of official development assistance to the Philippines. Helped by 27 daily flights between the two countries, the Southeast Asian archipelago nation is a popular tourist destination for Koreans, with over 1.6 million of them visiting there last year. Over 68,000 Filipino migrants now live in Korea, while over 93,000 Koreans reside in the Philippines. 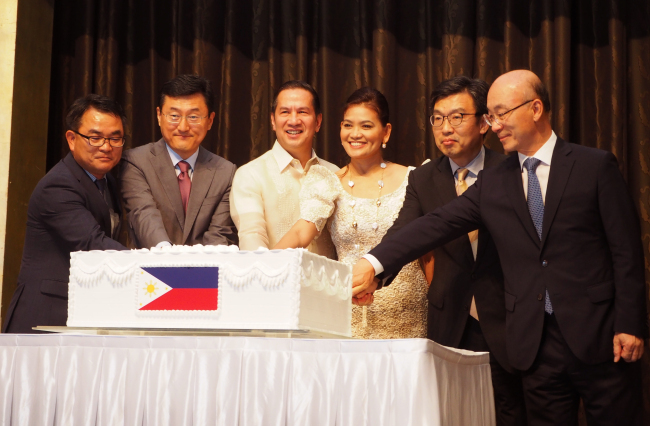 “Our deep trust and friendship is well exemplified by the fact that Korea accounts for the greatest number of visitors to the Philippines and our trade volume has exceeded $10 billion since 2010,” the deputy minister added.